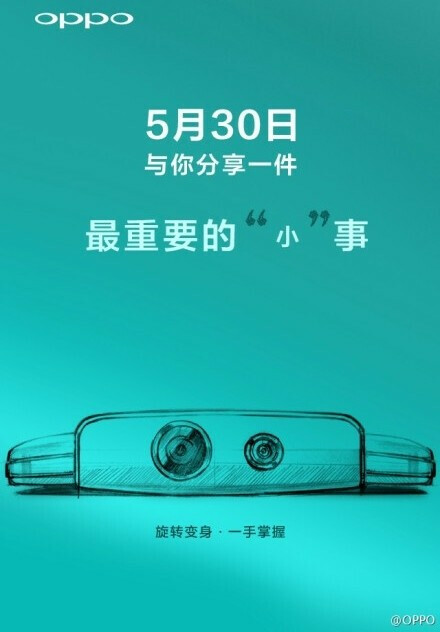 Oppo is getting ready to announce a new variant of its N1 smartphone, and the company confirmed that it would do it on May 30 - apparently during an event held in China, Oppo’s home country. Last week, when we spotted the new handset at the FCC, we called it Oppo N1 mini - because it just looks like a shrunken N1 (and mini smartphones are trending now). Like the original Oppo N1, which was released at the end of last year, the alleged N1 mini comes with a swiveling 13MP camera. Other features include a 5-inch 720p display (instead of the larger 5.9-inch screen of the older N1), and a 2,140 mAh battery. still too big, i'll hold out for the ultra-mini. Mediatek is lagendary slow... I purchased a phone powered by mtk and OMG..... I didnt knew it before that mediatek is so slow?